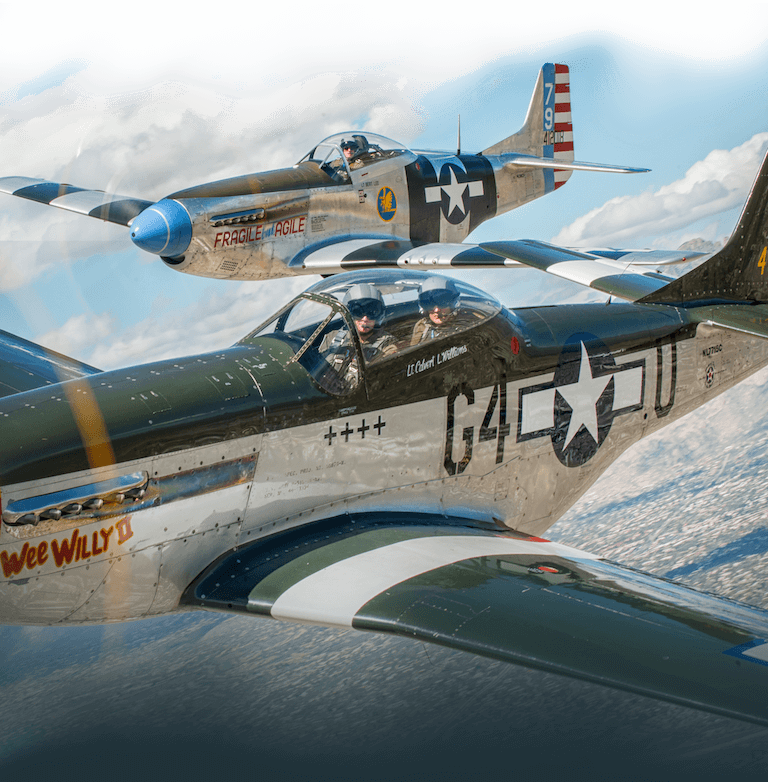 The Air Force Heritage Flight Foundation celebrates U.S. air power history and serves as a living memorial to those who have served in the U.S. Air Force by providing 40-60 annual Heritage Flight demonstrations around the world. 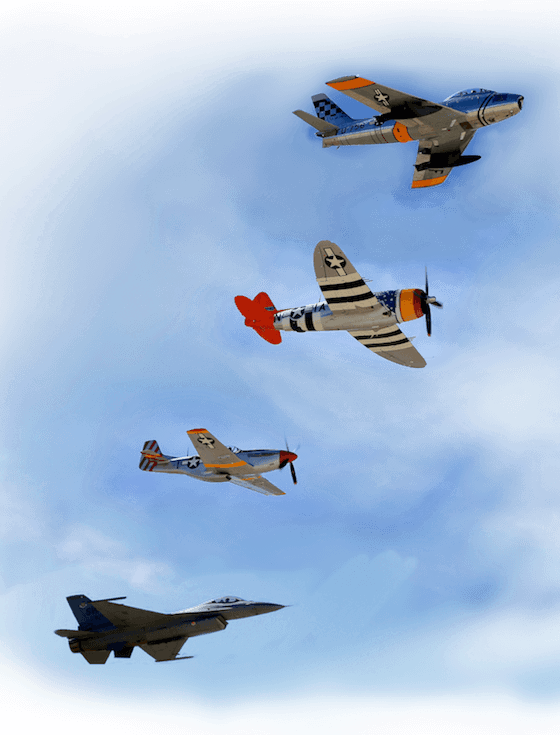 Our civilian Heritage Flight pilots fly alongside modern USAF fighter/attack jets in the following vintage warbirds: P-51 Mustang, F-86 Sabre, P-38 Lightening, P-40 Warhawk, P-47 Thunderbolt, A-1 Skyraider. 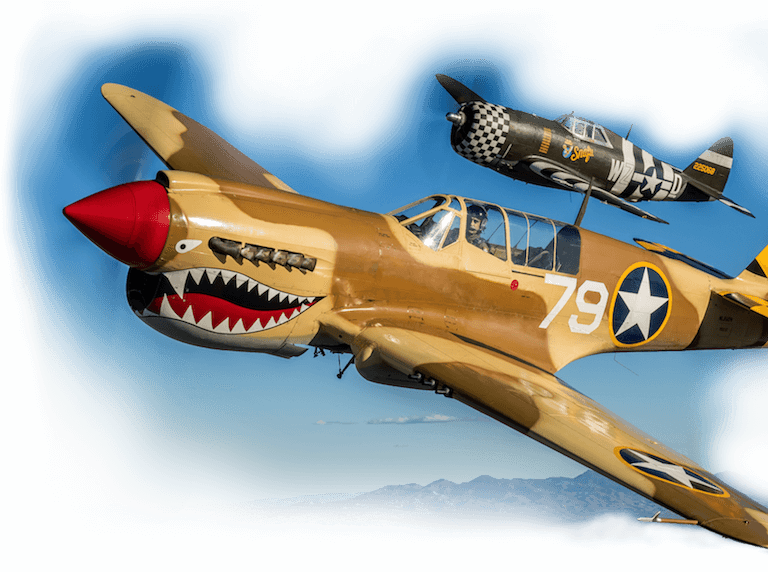 Each pilot possesses a deep passion for aviation history and a personal connection to this program and its mission to celebrate the past, present and future of military aviation. We need your financial support to continue to celebrate the great sacrifice of American war heroes through our one-of-a-kind live aerial memorial.